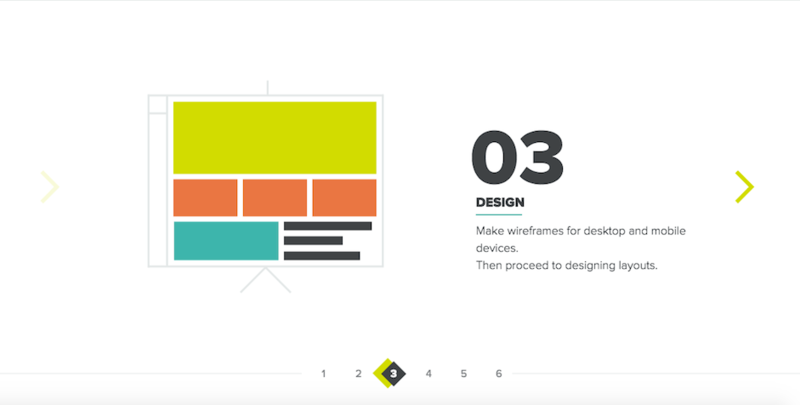 Two trends that I see this year in web design have to do with layout and scrolling. One is the carousel scroll that goes right to left rather than up and down. This makes most or all of the site “above the fold” (to use an old newspaper term) so that the viewer doesn’t need to scroll down – not that scrolling left is so much easier. The second trend gives us some very long pages that endlessly scroll where “pages” overlap each other and no clicking to other pages is necessary. The parallax site allows the foreground and background content to scroll at different speeds, so there is sometimes an illusion of depth. It is a nice effect, but both of these trends have drawbacks. For example, parallax can be bad for you search engine optimization since they appear to search bots as being made up of one page and not all the content can be crawled by the search engines. This is exacerbated when text is embedded in graphics. There are other trends becoming more prevalent this year, such as that series of short lines that have become known as a “hamburger” being used to indicate that a menu is linked there. This has become popular as the popularity of mobile devices grew and designers started simplifying navigation. You can read more about these and other trends and some of the plusses and minuses of these design trends.